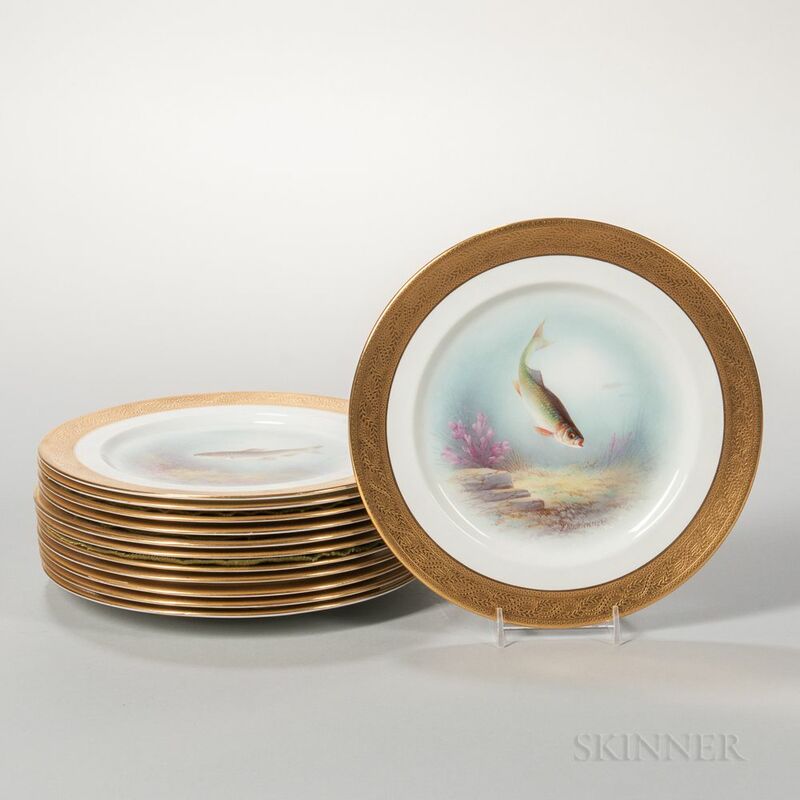 Twelve Aynsley China Hand-painted Fish Plates, England, early 20th century, each with wide gilded rim and polychrome enamel decorated with a variety of fish, artist signed "F. Micklewright," titled and marked on the reverse, dia. 9 in. 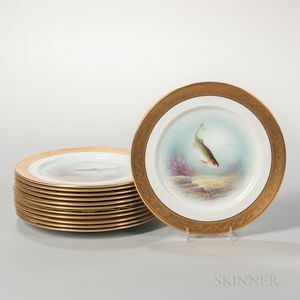 Several with slight surface abrasions. No evidence of any cracks, chips or restorations throughout.